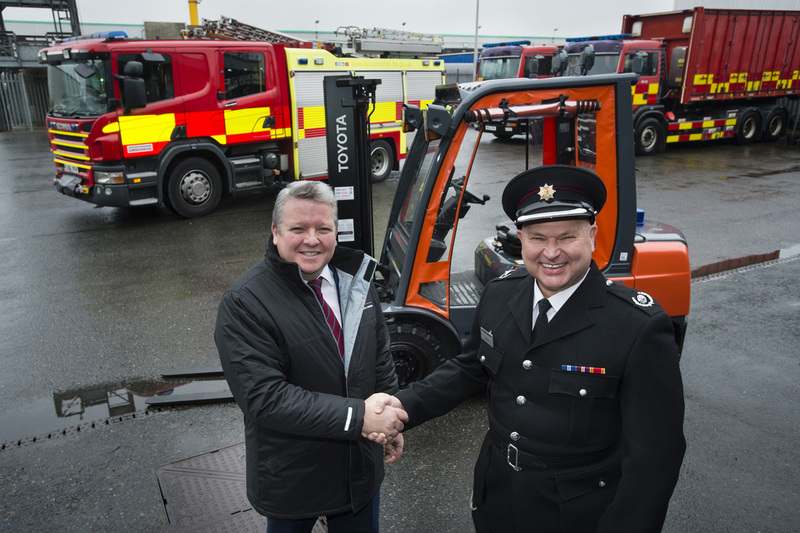 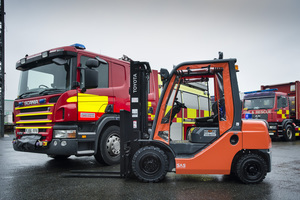 Toyota Material Handling has donated a Toyota Tonero forklift truck to Leicestershire Fire & Rescue Service. 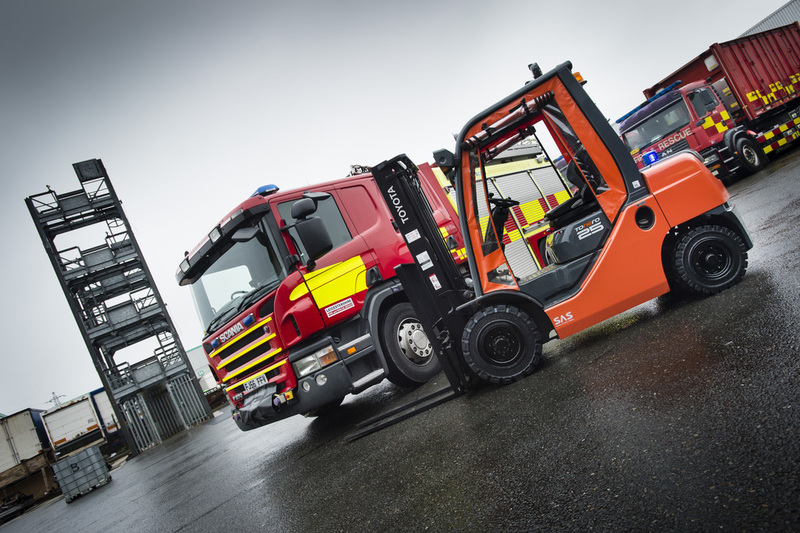 The Tonero forklift truck will be used to aid Firefighter training at the Southern Fire and Rescue Station, Leicester. 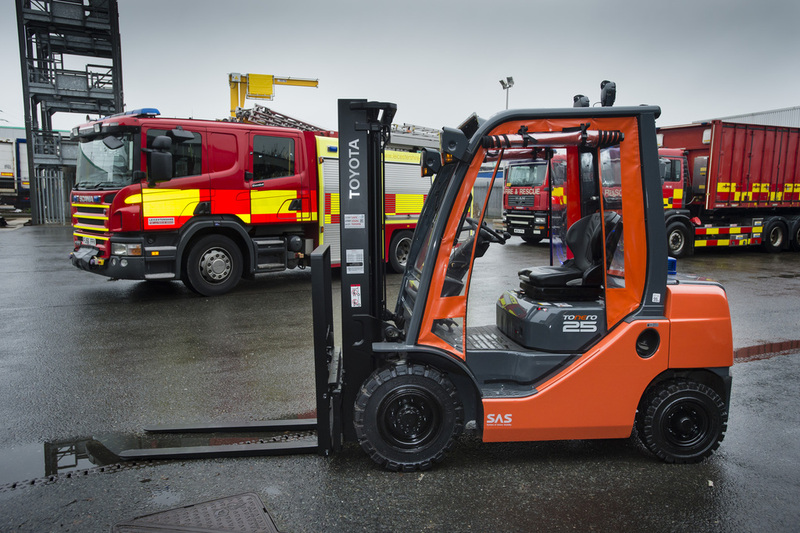 Its duties will include include moving vehicles and heavy apparatus used in training within the station yard. 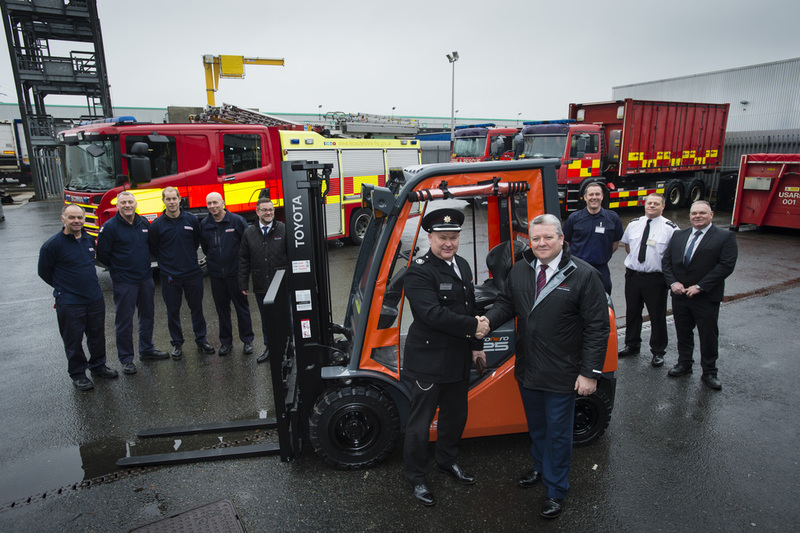 The donation came about following a conversation between Mark Johnson, a firefighter at the Station and Chris Pole, Toyota’s National Parts Manager, who is based at the adjacent Toyota Business Centre in Meridian Business Park. 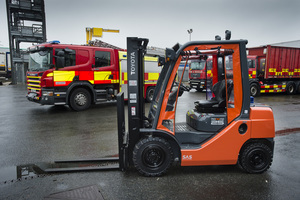 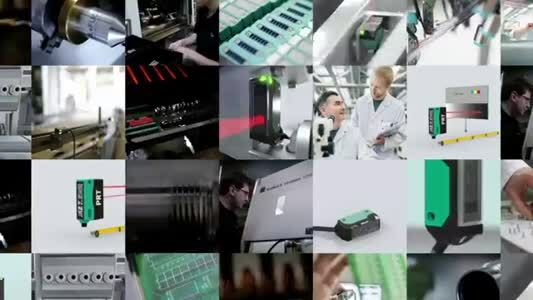 Chris Pole explains: “Mark and I are good friends and in passing conversation it was clear that Toyota manufacture and supply forklift trucks which are much safer, efficient and overall far better suited to the needs of the Station than its previous truck. The Toyota Tonero is a range of engine powered counterbalance trucks which offer reliability, safety and productivity during light to heavy-duty applications. 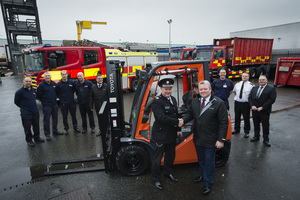 Accepting the truck was Ian Holden, group manager, Leicestershire Fire and Rescue Service and Paul Purser, station manager, Southern Fire and Rescue Station.